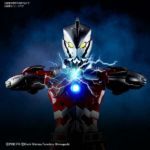 In case you were let down by the S.H.Figuarts version of the Manga Ultraman character, Bandai may have an alternative for you with the recently revealed Figure-Rise Standard Ultraman B-Type model kit. For those of you who may be unfamiliar with the Figure-Rise Standard series: it’s a line of model kits that you build and sticker yourself ala Gundam or Minipla. The Figure-Rise Standard kits covers characters that are outside of the Gundam franchise, in the past we’ve seen a handful of Kamen Riders and Dragon Ball characters done up in this line. Figure Rise Standard Ultraman B Type is 1/12 scale so it shouldn’t look too badly when standing next to your S.H.Figuarts collection. Accessories with this kit will include optional hand parts, effect parts, a big cannon, and an LED light that can switch from blue to red. All of this can be yours for 4500 yen and will see a release in November 2018. Today is a landmark day in tokusatsu history as Tsuburaya Productions Co. Ltd announced their victory in US courts against UM Corporation (aka Chaiyo) for the international rights to the first six instalments in the Ultra Series. That’s right everyone, it’s been a long battle but Ultra Q, Ultraman, Ultra Seven, Return of Ultraman, Ultraman Ace and Ultraman Taro are finally home. 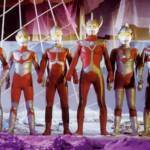 For those unaware the international rights for these six series have been in question for several years, after Chaiyo Productions founder Sompote Saengduenchai claimed that in 1976 Eiji Tsuburaya‘s son Noboru (who died in 1995) had provided him with a contract giving him rights to everything related to Ultraman outside Japanese territories, in exchange for a monetary loan. The legitimacy of the document was extremely questionable, however Japanese and Thai courts accepted this contract as real and binding due to supposed appearance of Noboru Tsuburaya’s hanko (signature stamp) in the document. Headway was finally made November last year when a Californian jury deemed the document to be a fake and ruled in favour of Tsuburaya, but it isn’t until today that we have confirmation that the company’s long ordeal is finally over. So what does this mean for the series in question? Will they be joining the rest of the Ultraman backcatalogue on Crunchyroll? New home releases with better quality masters? 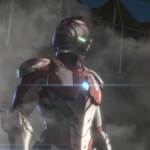 Who knows, but with Tsuburaya continuously looking to promote Ultraman on a worldwide scale we’ll find out soon enough. 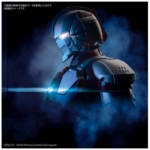 Even though the line has since moved on to both Ultraseven and The Return of Ultraman, Tamashii Nations continue to show their love to the original 1966 Ultraman series with the reveal of S.H. Figuarts Antlar! First appearing in episode 06 of the series, this insectoid monster terrorised the ancient civilisation of Baraji. Ultraman was able to put a stop to its rampages, thanks to the Stone of Baraji – an artefact left to them by Ultraman Noa many years ago. S.H. Figuarts Antlar is a Tamashii web exclusive due for release September, priced at 7560 yen. It will come packaged with a burrow hole effect part that the top half of the figure can be connected to. Will Antlar be joining your kaiju collection? Check out the images and let us know after the jump! It’s time once again to check out a giant sized creature of epic proportions in another Ultraman S.H. Figuarts gallery! Dating back to the original TV series, episode 26 to be exact, is the immense creature Gomora! Though we’ve seen examples of this species many times since it’s debut, the most memorable for many is still the original. S.H. Figuarts Gomora is a pretty beefy figure when you get right down to it. A beast fit to fight your Ultramen figures. Gomora lacks some of the better articulation we’ve come to expect with Kaiju figuarts, but does make up for things with his wonderfully segmented tail. Pair him up with your S.H. Figuarts Ultraman, or in my case the old Ultra-Act V2, and you can see just why Kaiju figuarts continue to go strong. He even includes some special accessories to replicate his severed tail and horn from his battle with Ultraman! We’ve attached the full 70 image gallery to this post but you can also check out our full length review of S.H. Figuarts Gomora by clicking “Discuss on the TokuNation Forums” at the bottom of this post. Next time we’ll be back to “Start our mission” with a brand new gallery from Kamen Rider Drive! We’ve seen both on display recently at the Tamashii Nations Akiba showroom as well as the Tamashii Nations World Tour. Now both of these new figures are slated for actual release! Thanks to a handful of new magazine scans we can confirm both. S.H. Figuarts kamen Rider Drive Type Special, Drives unique movie from from Surprise Future, is set for release in November. 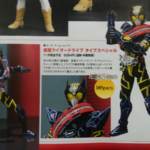 Type Special will be a Tamashii Web Exclusive and retail for 6264 yen. S.H. Figuarts Dada or as he was originally known Agent #271, is an infamously weird villain from the original Ultraman TV series. While not as prolific as Baltan this Kaiju is definitely looking good as Bandai continues their productive line of Kaiju figuarts. Dada will be released in November for 7344 yen.